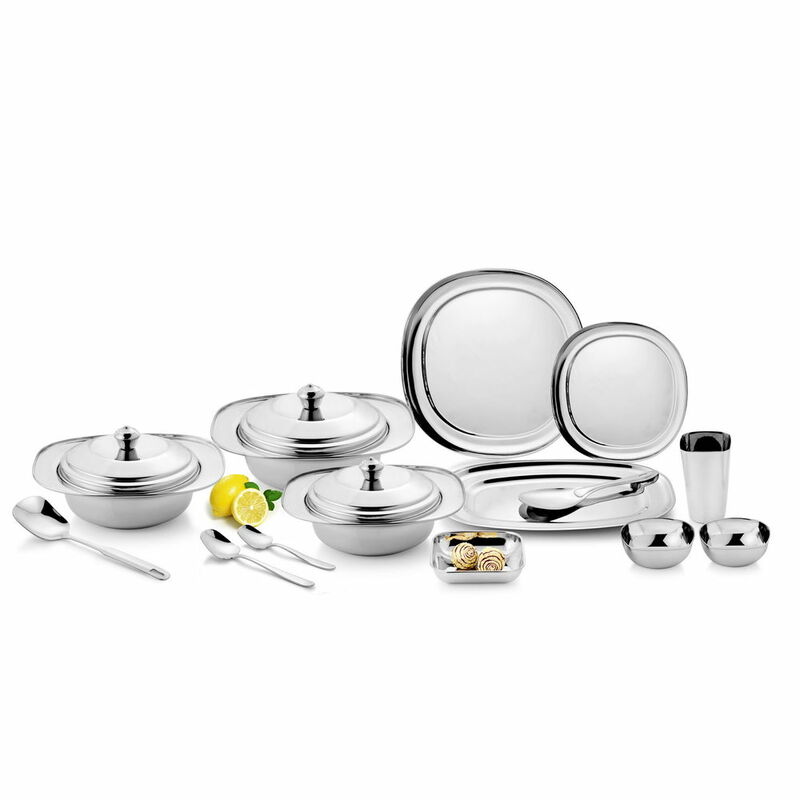 Devisons is pleased to present its designer, Oblong shaped dinner set under Dezinox Brand. Made of premium quality stainless steel. The set has been designed to suit Indian house hold. Aesthetically beautiful, 6 person set would add charm to any home and a reason to flant yourself. Whether a marriage, anniversary, festival or simply to spoil yourself. The set is perfect gift. The quality of the product is very good. Overall dinner set is very good . it really worth.